We are often asked what “stands out” about Walks ‘N’ Wags Pet First Aid program. We are proud of many aspects of our program so it can be a bit of a long-winded reply. However, one of the things we take sincere pride in is our up-to-date curriculum. Pet First Aid is an unregulated industry, meaning consumers should research their course providers. Walks ‘N’ Wags is and has always been transparent about what we do and how we do it. When working on our curriculum development, Operations Director Lisa Wagner conducts research firsthand. As part of this research, we consult both Canadian and American Veterinarians and licenced Veterinary Technicians. These Veterinary professionals help us locate the latest resources and recommendations in Pet First Aid. The process takes many months and in fact usually more than a year! Our 2017 manual update is the result of such efforts. We are very pleased to announce that this edition of the manual will be used effective today. Fortunately, over the past several years there haven’t been many major changes in pet first aid skills. However, the 2017 manual has a couple of new illustrations, a few new topics, and has been edited for ease of reading. We look forward to seeing you in class this Fall to show off our new manual! We are sure you will enjoy it as much as we have so far. 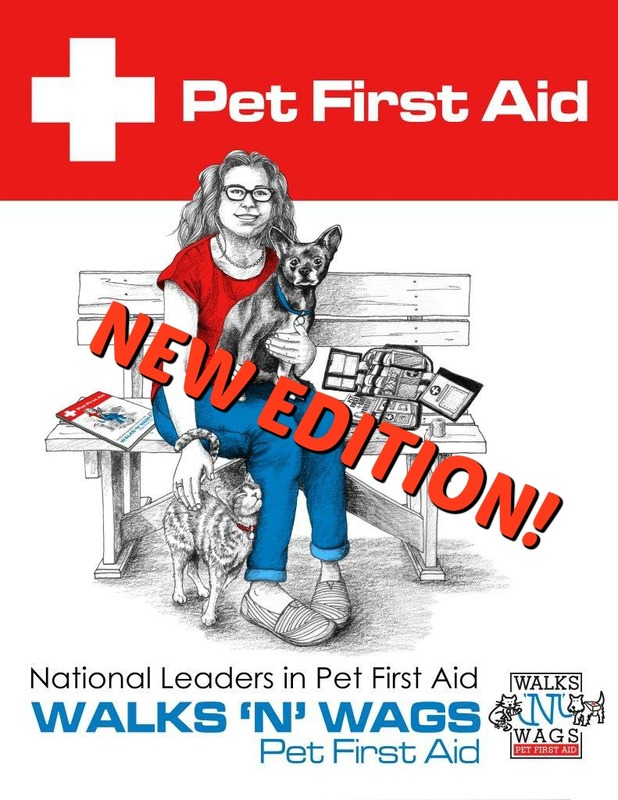 Sincere thanks for making Walks ‘N’ Wags your first choice for Pet First Aid training. The health and well-being of your dogs and cats is truly important to us. Sign up for class HERE today!